On the outskirts of Philadelphia, just minutes away from North America’s 2nd largest mall (King Of Prussia) you’ll find Escape Room Mystery. Our introduction to this company was a bit odd as we heard varying points of view on their strengths and weaknesses. However, we’ve always believed it best to evaluate something based on our own experiences while staying mindful of other people’s impressions… and with that in mind, we’re off… tally ho! Escape Room Mystery’s location is easy to find, there’s plenty of office complex parking, and their building was easy to see from the street. Once we entered, we were immediately treated to a spacious lobby, twilight mood lighting, and an almost zen-like interior design. We definitely enjoyed the vibe they had going on. Another curiosity was the extra large world map on one of the walls where customers were encouraged to put a pin marking the city in which they live. Sadly the staff informed us kids regularly change or remove the pins so it’s not accurate. We still thought it was a neat visual image none the less. 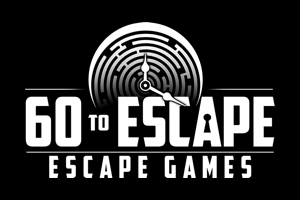 The staff we interacted with was polite, attentive, and genuinely interested in learning more about the escape room industry even if they didn’t have too much experience with escape rooms yet. Drinks and snacks are not available, but all in all, we were pretty happy heading into… The Laboratory. The room quality was a bit of a mixed bag. On the one hand, the set design and construction was solid. On the other, the props used throughout the room were lower quality. There’s not much to add as there weren’t any real highs or lows we can recall. In short the room quality is about the average of what you can expect nowadays. The immersion definitely carried a lot more highs and lows… The story starts with us learning we’re test subjects for a sadistic WWII doctor who injected us with his latest nerve agent. We’ve been given one chance to survive however – all we have to do is find the antidote and make it out in less than one hour! Now this may seem like a fairly routine story, but the audio files played throughout the experience helped reinforce the story which was engaging and immersive. Unfortunately there were also quite a few things that took us out of the moment. The puzzles (which we’ll explain in a moment) and the low quality props made the experience less immersive than it could have been. Was it really bad? No, the set design and audio files do a fairly good job of carrying the mood, but it is fair to say the downsides slightly outweigh the upsides when it comes to immersion. An absence of story development was also noticed, but this is fairly common for most escape rooms. So far it’s safe to say The Laboratory is an average room with a combination of strengths and weaknesses that will gain a variety of responses (now we understand why people have varying points of view). The puzzles however are without question the Achilles Heel in the Laboratory. We were cautioned before going in this was one of their harder rooms because of the puzzles. Cautions like this might bring a sense of fear for some players, but with approximately 650+ escape rooms under ERA’s belt, we’ve learned to enjoy challenging puzzles! Unfortunately, our excitement soon turned to frustration throughout The Laboratory. The puzzles were hard, but not because of their difficulty level. Several leaps in logic and random guessing were required which is never a good thing. We won’t give any spoilers, but for some of the puzzles there’s no direct correlation between the puzzle and solution, nor a given methodology for solving it. Several times it felt as if random numbers, colours, letters, or props were provided and we were left with a pile of stuff to just figure out somehow. We suppose you could argue this was part of the ‘challenge’ of being tested by the sadistic doctor who trapped us in there. But when time is a factor and multiple variables are at play, what seems like a fun challenge to designers can readily become frustrating to participants who don’t have endless time to guess what the designer’s train of thought might have been. This is why the methodology must be obvious (or at least discovered) within the room alongside the puzzles and information. This of course led to us noticing the puzzle flow being awkward. Without knowing ‘how’ to solve certain puzzles, it was frustrating to be given only parts of the information needed for some of the puzzles. Did we have enough ‘test tubes’? Were there enough colours obtained already? How would we know if we had enough information or items gathered versus not having the right answer? Which led to the room’s hint system that was used… a LOT in this case. We were required to call out for clues which came slowly or in riddled form on a scrolling LCD sign. There’s nothing particularly wrong about it, but the several seconds it would take to read as it scrolled along was another little thing that added to our frustration. All in all, if you were to guess the right train of thought for each of the puzzles, you might think there isn’t an issue, so we won’t force our impressions, (obviously some players do manage to guess their way out of the room). At the same time it’s safe to say this room won’t be a preferred choice of puzzle enthusiasts. Hi, Just wanted to thank you for your review of our room! We were happy to host the two adults and their child that your company sent. We get fantastic, enthusiastic responses to The Laboratory from hundreds of fans every week, but they are typically coming from groups that are 5 to 8 players, which is what the room was designed for, not 2 adults and a child. There are four puzzle lines at the beginning that funnel to a big surprise, then a few lines that funnel to a finale, so the room is not linear. There are a couple puzzles that are impossible to complete without two to three players and good communication. We have lots of exciting sound effects & surprises. Our rooms were professionally themed by artists and the props all go with the theme without being items that can easily be broken- the catch 22 of the escape room industry. Hopefully the next time your team comes through, you might be able to bring five to eight people or playing with some of our other customers in order to truly experience how great our rooms are!